After interviewing a dozen of the top thought leaders in the industry, we're starting to lock in on a defining model to represent Account Based Marketing capabilities. To this point, buyers have experienced a wave of confusion as a growing number of vendors come to market with the ABM title on their slides, while only providing a limited subset of the required capabilities. It's like viewing a mosaic a tile or two at a time. I'm sure this visual will change, hopefully looking more polished in the near future:-) Until that time, we thought it important that we share progress with the market... looking for comments with your feedback... we're all ears and would love to hear from you! 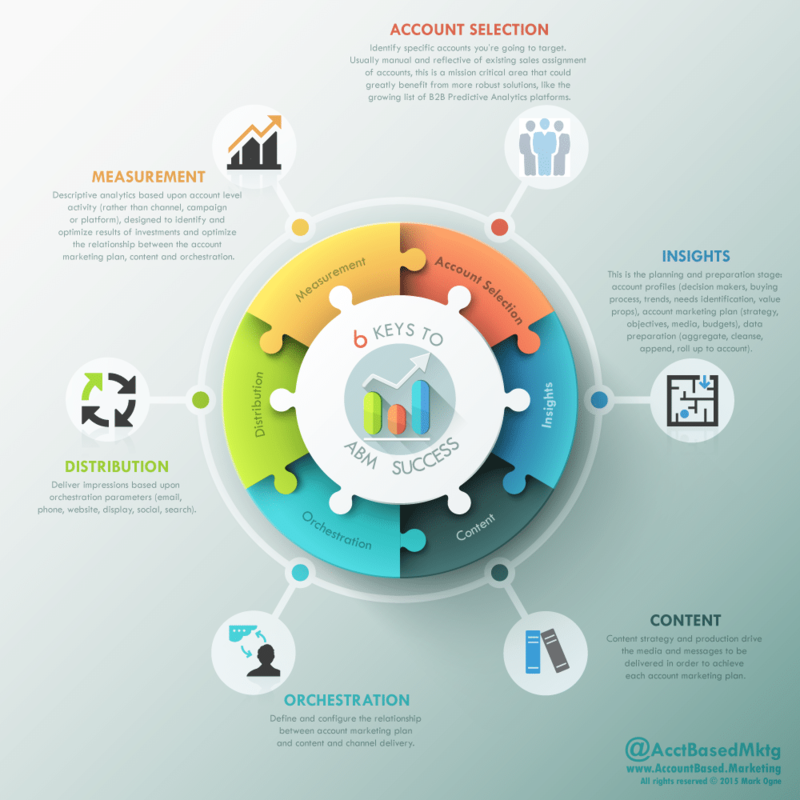 After completing the industry's best ABM research, our team constructed a revised Account Based Marketing Infographic. Here, we see the cyclical flow of ABM strategy, constantly seeking to optimize and hone in on the best strategy for each target account.